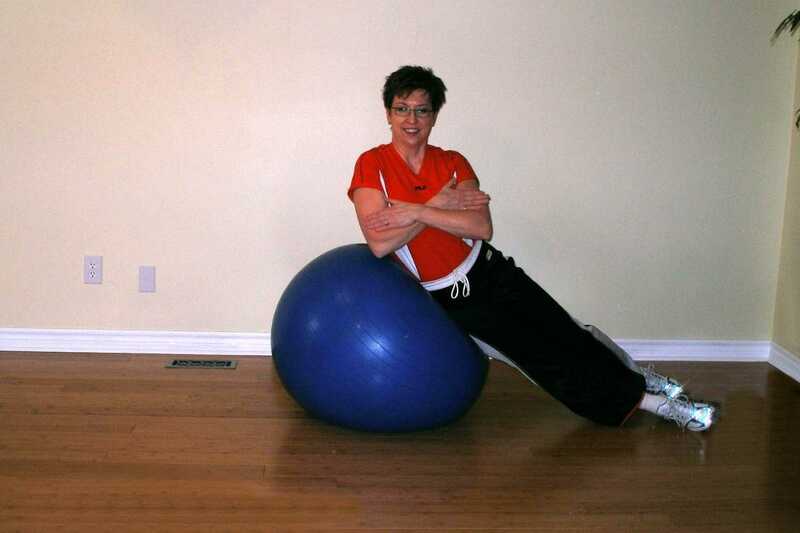 These exercise ball exercises require you to firmly place your right hip on a Swiss ball and lean into the ball. Contract your left side muscles and abdominal obliques, lifting your torso up as far as you can. Support yourself by pressing the soles of your feet against the bottom of a wall if necessary. If this is too difficult go back and work on Side Crunch with Knee on Floor and Side Crunch with Knee Off Floor. Progress by placing your hands behind your head. 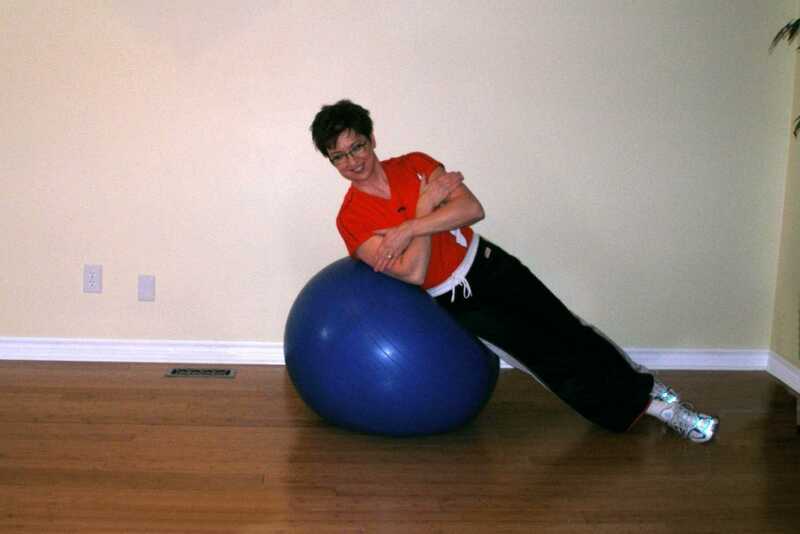 Side crunches on the exercise ball have an added benefit over the floor of allowing a greater range of movement as well as offering an unstable surface. A study published in 2007 in the Journal of Applied research looked at side crunches done on the stability ball vs. the floor and noted that when measured using surface electromyography, side crunches done on an exercise ball used 50% more work/second by muscles than crunches done on the floor without a ball. J.Petrofsky PhD, J Batt BS, N Davis PhD, E Lohman DPT,DSc M Laymon DPT,DSc G De Leon BS, H Roark BS, T M Tran, EG Ayson BS, KM Vigeland BS, CE Payken. Core Muscle Activity During Exercise on a Mini Stability Ball Compared With Abdominal Crunches on the Floor and on a Swiss Ball. The Journal of Applied Research Vol.7,No.3,2007.